About - TIGER STEEL INDUSTRY CO., LTD.
We established Tiger Steel Industry Co., Ltd. in 1979. 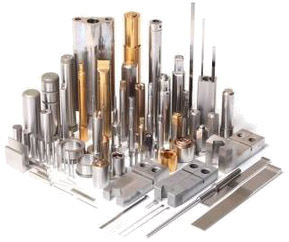 Ever since then, we have been producing precision steel die component parts to our valued customers in Automotive Fastener manufacturing industry and Plastic Injection Die industry. Throughout the years, technology and information in the industries have been developing rapidly. We have been highly rated by our valued customers in the industries since we have been continuing to make every effort on daily basis to develop and advance our own technology in order to accommodate our customers' requests. Our policy is to have more than one manufacturing basis. This is in order to avoid potential risks and to ensure stable supply and business continuation. We sincerely appreciate our valued customers' business over the years and we look forward to possibilities to do business with new customers.